Mason jars are my absolute favorite craft supply. They aren’t intimidating, they don’t cost much and they’re infinitely adaptable – what’s not to like? Since Christmas is just around the corner and I haven’t started shopping for gifts yet, I’m feeling a twinge of last-minute anxiety. Since I don’t have a ton of time to look for gifts, I’m considering creating a few of these Mason jar crafts and giving them to my friends. My favorite idea is decorating the outside of a Mason jar and filling it with candy. I must say, though, I love unexpected Mason jar crafts, like vases. Before you head to the mall or a fancy boutique, consider making one of these Mason jar crafts. If you’ve already completed your holiday shopping, save this list for another day. You never know when you’ll need a quick and easy gift or fun decorative craft, and these projects definitely fit the bill. Snowman Belly Jars – Simply draw a belly on these jars to create headless snowman. While this may seem a little morbid, it’s actually super cute. Use fun colors that really stick out and make each jar a little different. Fill them with cotton balls and you have a non-melting Santa for all season. Easy Rustic Mason Jar Decorations – With this Mason jar craft tutorial, you get two projects for the price of one. The contrasting colors make these a true standout. Group a bunch of these jars together and place them on a mantel or kitchen table. These will look great on a table during Christmas brunch. Winter Wonderland Candle Jars – How cool is this frosty Mason jar? You don’t need actual snow to create this pretty decorative piece, so if you’re in the mood for a winter treat in six months, this is the perfect project. The simple, rustic look evokes a country feel. Frosted Luminaries – Evoke the look of frosted glass for this super simple Mason jar craft project. Line your Mason jar on a mantel and fill them with tea lights. The colors will make your room sparkle and glow. 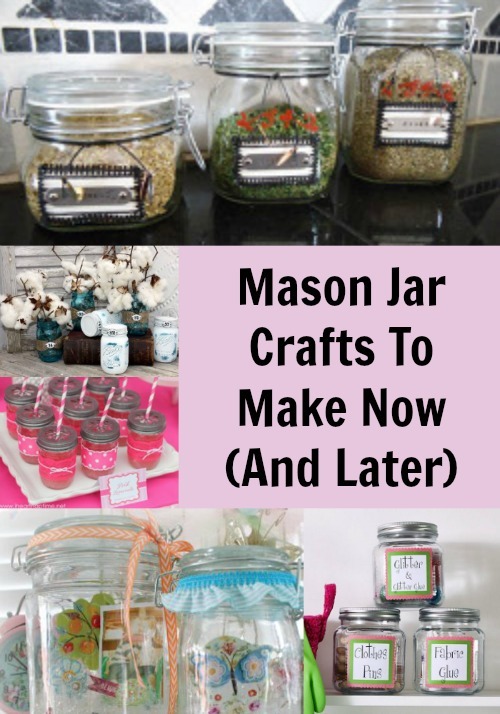 Simple Stained Mason Jars – It doesn’t matter what you use your jars for as long as they look good. That’s the philosophy behind this kid-friendly craft project. You won’t believe how easy it is to change the look of these Mason jars. Altered Art Mason Jars – Store spices, treats and more inside these Mason jars. Create your own labels and organize all of your essentials – it’s easier than you think. Pretty Pink Mason Jar Cups – If you’re planning a baby shower or birthday party, you’ll want to make this project. This is not only a great way to serve food or drinks, but also a fabulous party favor idea. 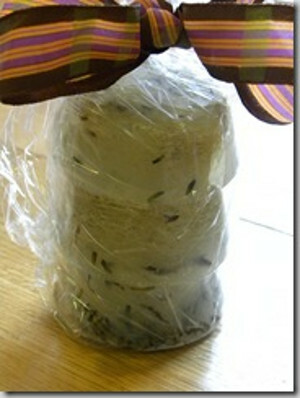 Affordable Jar Party Lanterns -Cover jars in paint, wait for it to dry and add a stripe with Mod Podge. That’s all you have to do if you want to complete this craft project. Kids will love pitching in and painting the jars, so be sure to have them help out. 3D Memory Jars – Capture your favorite moments with this delightful project. This is a great gift or favor idea, so keep it in mind for your next celebration. 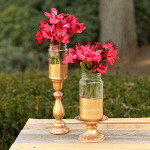 Gold Tipped Mason Jar Vases – Combine a Mason jar and candle stick to create your own vases. Paint helps turn these jars into fancy home decor items. Place these in the center of a table for a class look. Mason Jar Vase – Use a candlestick or a candlestick to add height to your vase and include some trim and embellishments to make each piece unique. Once you’ve completed these two steps, you’ll be well on your way to creating a memorable Mason jar. 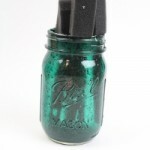 Colorful Bead Jar – Store all of your beads in these handy jars. This is a great way to organize supplies and clean up your craft room. If you don’t have a ton of beads, you can opt for a baby food jar rather than a Mason jar. Craft Room in a Jar – Who wouldn’t want to carry their craft room with them wherever they go? 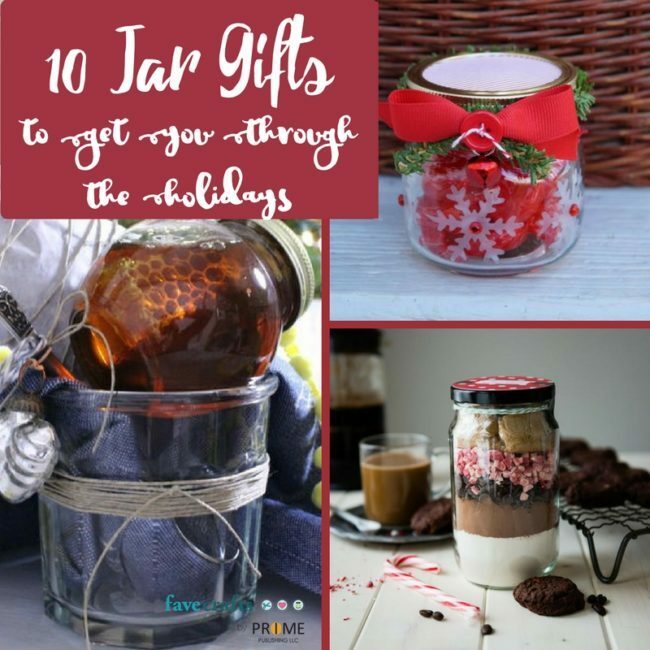 Throw your favorite supplies in a jar and give it as a gift. You can also use this project to clean up your space and get organized. What’s your favorite use for Mason jars? Are you struggling to complete your holiday gift list? If you’re like me, you’re also probably dreading standing in long lines and dealing with mass crowds of people. If holiday shopping just isn’t your thing, we’ve got the perfect solution for you! Filled with projects from American Quilter’s Society, Elmers, Red Heart Yarns, Sizzix, Spellbinders, M-D Products, Polyform, QuiltWoman.com Sullivans USA, Testors, and Xyron, 11 DIY Christmas Decorations and Gift Ideas is all you need to tackle your gift list this year. Featuring projects you can knit, crochet, glue, paint, quilt, sew, and tape, this free eBook keeps every crafter in mind…and gives you the tools you need to make fantastic gifts and decorations this holiday season. Deck the halls and trim up the tree with these fantastic holiday decorations for your home. The Ruffled Christmas Wreath would make a lovely addition to your winter decor all season long, and the colorful and festive Hawaiian Christmas Table Runner is a welcomed change from the traditional red and green decorations. If you’re looking for something the kids can help with, the cute Winter Fun Directional Sign is a great project to work on during a cold snow day or a lazy weekend. Help Santa Claus find his way to your home by adding your house to the list of directions, and don’t forget to tell Santa how to get back to the North Pole! Even though these DIY Christmas decorations are great for adding a festive touch to your own home, there’s nothing saying you can’t give them as gifts as well! 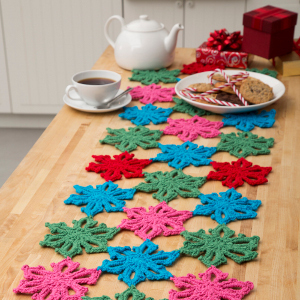 Who wouldn’t love a beautifully hand-made table runner? 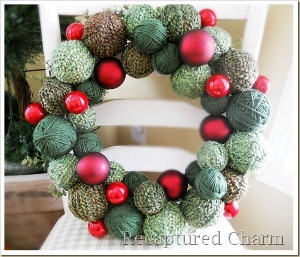 And the Ruffled Christmas Wreath would make a lovely gift if you’re going to a winter housewarming party. If you’re looking for something to make as a gift for grandma, mom, or a favorite sister or friend, you have to check out the Rose E’er Blooming Necklace. Made with beautiful clay flowers, this lovely necklace makes the perfect addition to any holiday outfit, and it’s a great last-minute gift or stocking stuffer if you’re running short on time. If you’re a lucky one who has the time to handcraft their own Christmas cards, we’ve also got some amazing projects for you in 11 DIY Christmas Decorations and Gift Ideas. 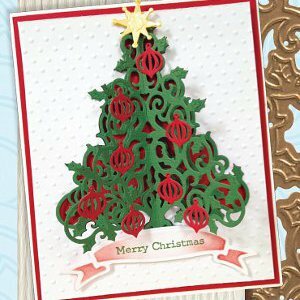 How cool is this O Tannenbaum Die-Cut Christmas Card? With a tree that literally pops off the paper, this is one card that anyone is sure to appreciate! 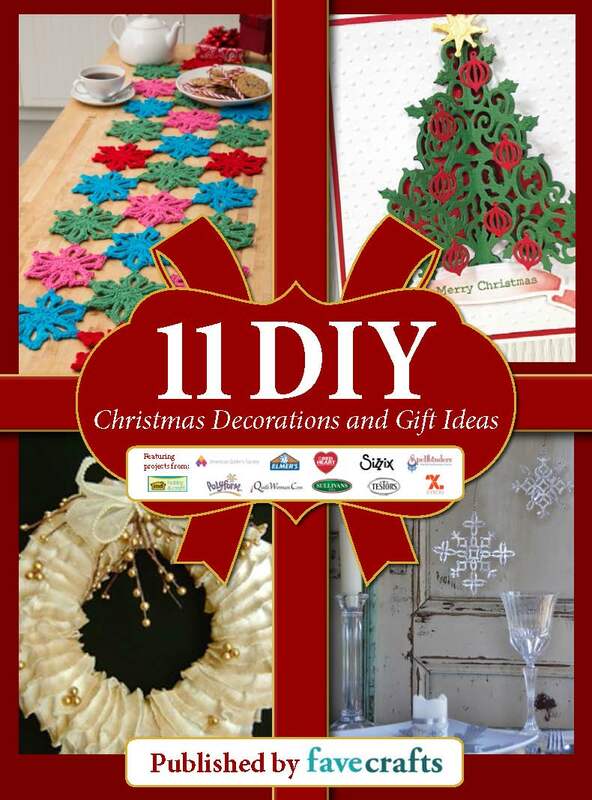 You can find all these projects and many more in our new free eBook, 11 DIY Christmas Decorations and Gift Ideas. Download your own copy for free today! As if that wasn’t enough, we’re also celebrating the release of our our new eBook with an amazing Spectacular Christmas Grand Prize Giveaway! With more than $1,100 in prizes, Christmas is going to come early to one lucky winner! Enter today! We’re also giving away daily prizes, as well! 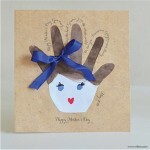 Check the giveaway page on FaveCrafts.com for all the information on how you can win big this holiday season! We want to know! What’s your favorite holiday family tradition? Tell us in the comments below! 100 Days Until Christmas! + A MUST SEE Giveaway! The countdown has begun…only 100 more days until Christmas! Time to start prepping your gift list and checking it twice. It’s also the perfect time to get started crafting up some holiday cards so you’re not rushed to make them as the holidays quickly creep closer and closer. 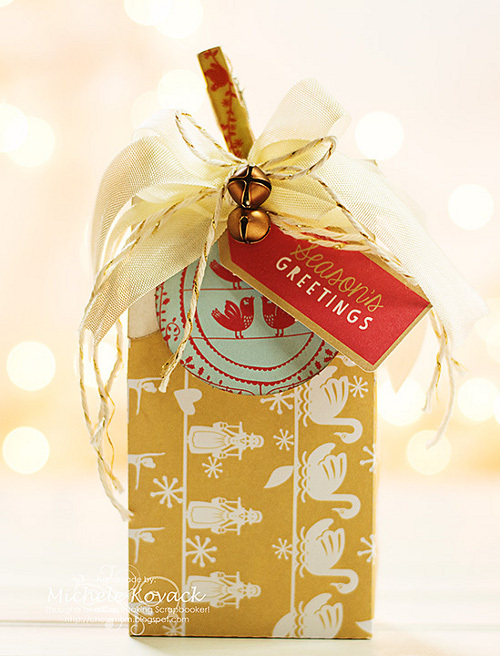 Since we’re all in a rush with our holiday crafting, it helps so much when all the materials we need are gathered up for us in one convenient kit…which is why I LOVE this 12 Days of Christmas paper pack from Docrafts. With everything you need to make beautiful cards, gift wrap, scrapbook layouts and more, this collection has already made my Christmas crafting that much easier. Containing die cuts, stamps, craft tape, 12×12 papers, and a collection of stunning 3D pop-up Christmas cards, the 12 Days of Christmas collection is inspired by the popular holiday tune of the same name, with the motif running through all products in this collection. We had so much fun playing with this assortment and couldn’t wait to share some of our ideas with you! 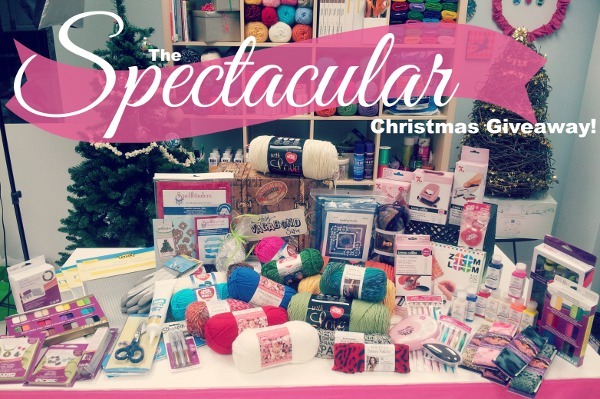 We’re also giving YOU the chance to win this entire collection so you can craft up some of your own Christmas goodies! Scroll on down for more information on how to enter to win! We also wanted to challenge some of the bloggers on our Design Team to create some original projects with this paper pack. The wonderful Michele Kovack of Thoughts of a Cardmaking Scrapbooker took us up on our challenge and here’s what she created. Aren’t these just beautiful?! 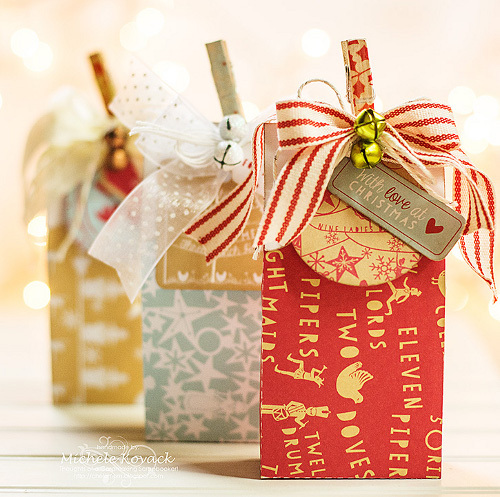 In addition to the 12 Days of Christmas paper pack, Michele also used her Silhouette, some colorful ribbon, mini jingle bells, string, and ink to create these cute gift bags. These would make adorable stocking stuffers or could even be used to create your very own 12 Days of Christmas advent calendar. All the pieces in this kit coordinate so nicely together and can help even the busiest of crafters create amazing cards and decorations in no time flat. Want to learn more about how you can win this awesome paper pack? All you need to do is head on over to the giveaway page and register to win! You have until September 30th to enter, and you can enter to win once a day…so the more you return, the greater your chances of winning this awesome paper pack! Good luck! We want to know! What would you make with this awesome paper pack collection? Leave a comment and tell us all about it! ‘Tis the season for gift giving! Christmas shopping seems to start earlier and earlier every year with people trying to get the best deals. However, there is no need to compete with other holiday shoppers if you make your own homemade Christmas gifts. Don’t know where to get started? 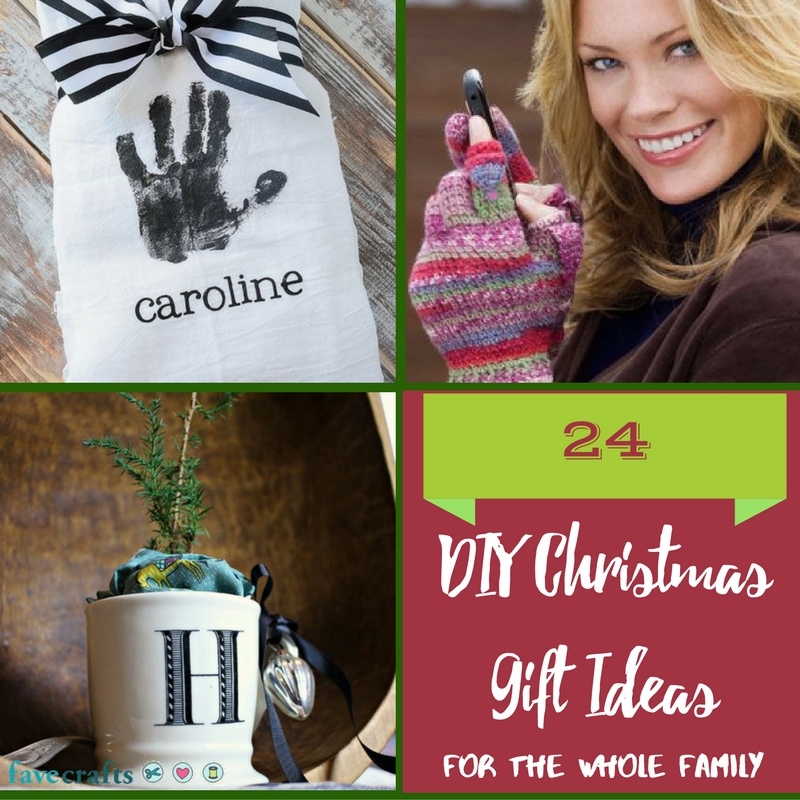 There is no need to fret because AllFreeChristmasCrafts has compiled a spectacular list of DIY gift ideas for you this Christmas. We’ve compiled all of our best collections into one big gift guide that is full of homemade Christmas gift ideas for all of your friends and family. 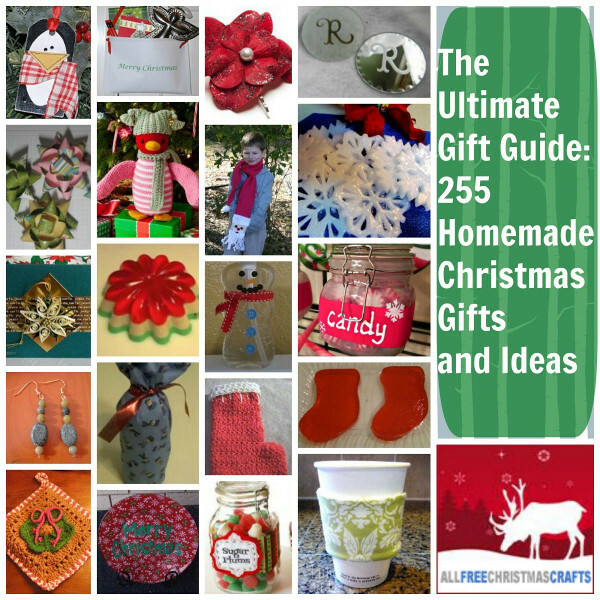 Save yourself time, money, and stress this year, and check out The Ultimate Gift Guide: 255 Homemade Christmas Gifts and Ideas this holiday season. Nothing is better than a personalized gift, and we have some awesome gift collections for everyone in your life. 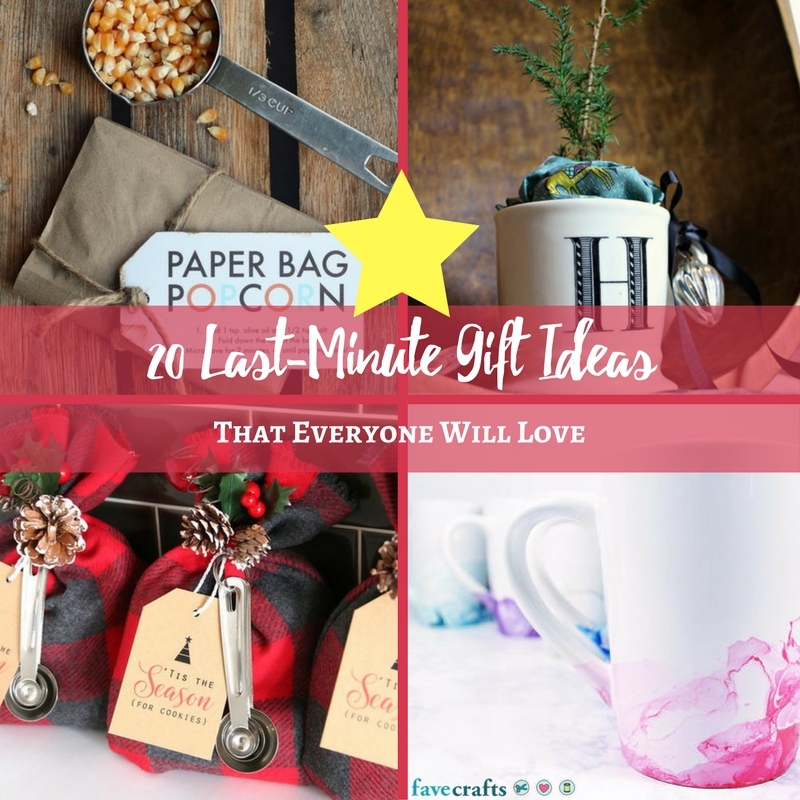 From homemade gifts for teachers to Christmas gift ideas for your mom, you are sure to find the right gifts for all of the people in your life amongst these collections. Sometimes the presentation of a gift can be just a stunning as the gift itself. 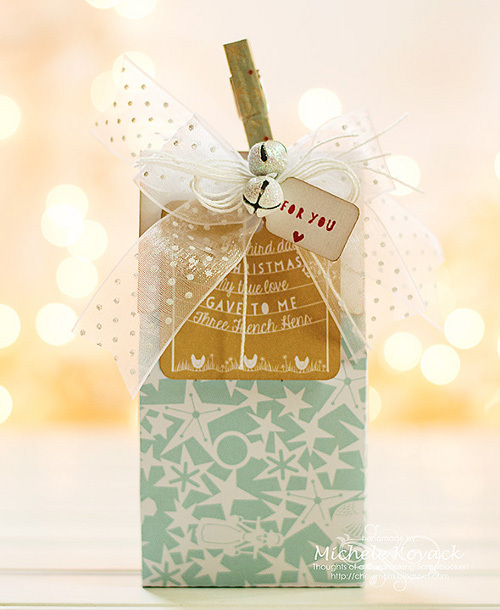 If you are looking for an abundance of fantastic gift wrapping ideas, we have some collections for you. You will be amazed how easy gift bows are to make and how you can make a creative gift box, bow, and handmade card and give the completed package to your loved one this Christmas. Still need more gift giving ideas? 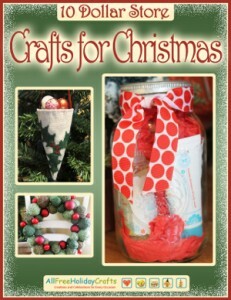 Be sure to check out AllFreeChristmasCrafts.com for all of the latest homemade gifts and DIY gift wrapping ideas. Who are you making homemade gifts for this Christmas? The holidays are fast approaching and you’re probably wondering what to get as gifts for your friends and family. Perhaps you’re looking for a gift that has more of a homemade feel to it,as opposed to something you can buy in a store. There are plenty of DIY projects that you can make for anyone, young or old. For instance, you can create your own holiday gifts for pets and even make special gifts for bacon lovers! Additionally, there are knitting projects, DIY gifts, and other crafting suggestions for handmade holiday crafts. This knitted angel doll doubles as a pincushion! Wouldn’t that be a great holiday gift idea for a sewist in your life? This gift is small enough to be a stocking stuffer, but is customizable to whichever colors or patterns your gift receiver would most like. 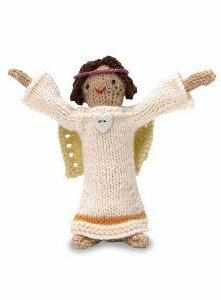 There is a link to a step-by-step procedure for making this knitted angel at CraftFoxes. Even if you’ve never knit a project like this before, take it a step at a time, and you’ll be ready for the holidays with a fun new present or gift topper! Get the free angel doll knitting pattern. Here is a great way to stretch your DIY muscle, and the final product can even be hung on a Christmas tree. The DIY terrarium is basically a tiny ecosystem inside a glass jar but it can also be used as a clear Christmas ornament if you’re feeling festive! 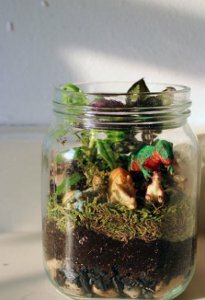 For this project, you’ll need a glass jar (with or without a lid), as well as potting soil, pebbles and any action figures you’d like to put inside your terrarium. You could even put some Christmas-themed figurines inside! Learn how to make a DIY terrarium at CraftFoxes. This messenger bag DIY project involves some crocheting as well as some thrifting and is an awesome accessory to carry your stuff in. 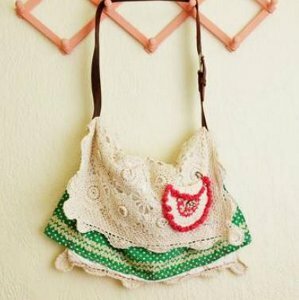 To create this project, you’ll need a crochet pillow sham and a belt for the bag’s strap. You’ll also need some rivets to secure the belt to the pillow sham. This is another DIY gift that you can easily tailor to anyone’s taste. Put your thrifting skills to use and you might just find the perfect piece to use in this DIY project. Get the how-to for this DIY messenger bag and then visit CraftFoxes for more handmade Christmas gift ideas! Happy Thanksgiving! I hope you’re filled with love and turkey right about now. I also hope that you’re enjoying a relaxing holiday and taking some time to recharge your batteries. Let’s face it – the holiday season can be extremely stressful. The constant travel, planning and spending can leave you feeling fatigued and anxious. If you need to take a break, you could head out to your local spa for a few fancy treatments. Well, I think that’s a big waste of money – there are so many ways to turn your home into a spa! Scrubs are a great way to get rid of dead skin and help maintain an overall glow. Plus, you can infuse scrubs with a variety of ingredients to make them smell absolutely delicious. For instance the Amazing and Edible Chocolate Body Scrub can help you ease your stress. 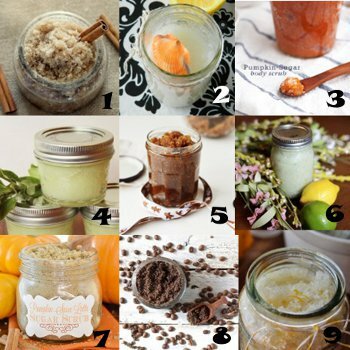 You can decorate a mason jar and give this scrub as a thoughtful hostess gift. You can also make your own Homemade Grits and Honey Scrub and give it to someone who needs a little TLC. Don’t forget to recycle empty jars for your gifts – it’s a great way to go green and save on supplies. Make your own Sugar Scrub with Flower Jar Toppers and show off your creative skills (on the cheap). Give the gift of relaxation and comfort this holiday season. Decorate the jar and fill it with a homemade scrub – it’s a great way to show someone special how much you appreciate his or her efforts during the most stressful (and most wonderful) time of the year.